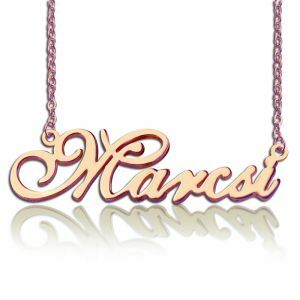 Custom Nameplate Necklace 18K Rose Gold Plated - A lovely gift for any woman on your list, our stunning english111 style nameplate necklace will complete her outfit in trendy style. This name necklace is great gift for Anniversary, Engagement, Valentine's Day gift, party and so on. 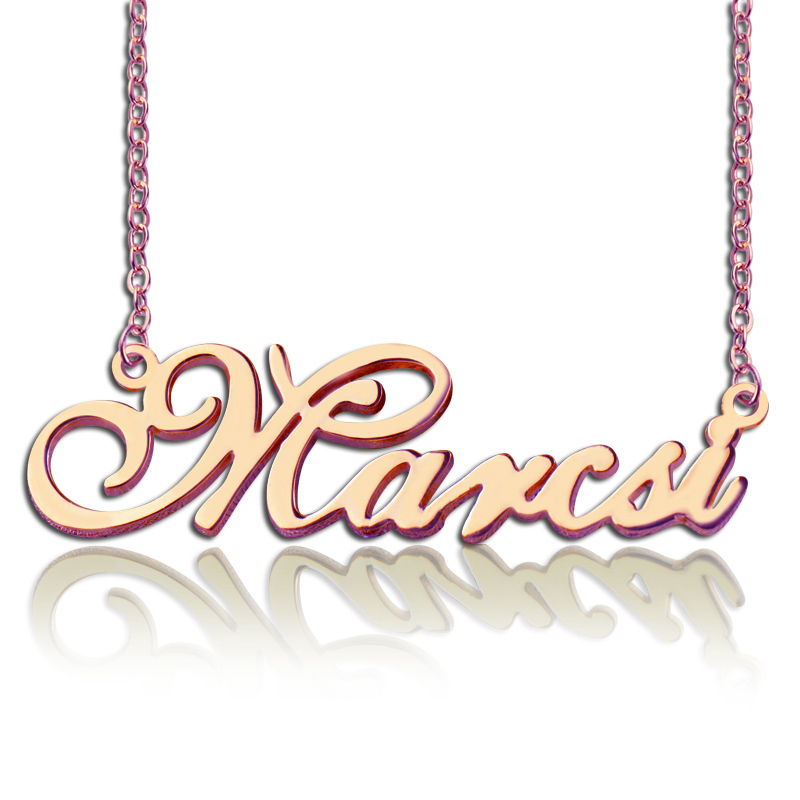 All of these name necklace can be personalized with any name according to your requirement.